Looking for Lake Front Home to getaway from it all? Well here it is! This Lake Front Home is located on Potosi Lake. This is a 25 acre lake to swim, fish and enjoy the outdoors. Home features 2 large bedrooms, 1 full bath, large eat in kitchen, spacious living room. New floors in home and freshly painted in January this year. 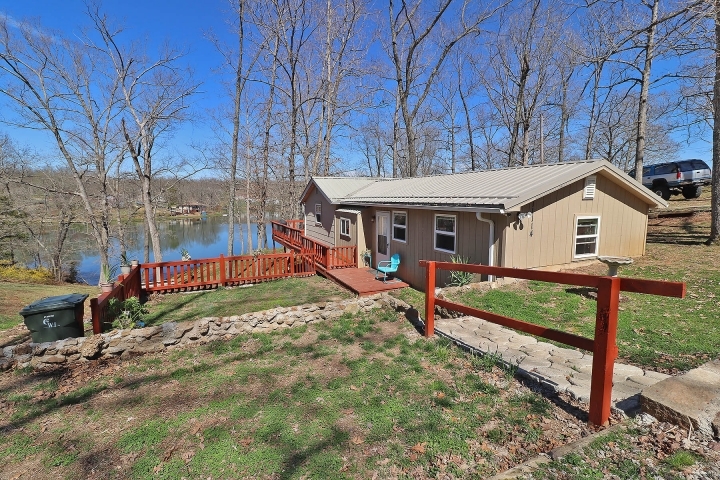 Home also boast a large deck that wraps around half of the home, enjoy the view of the lake from the deck, or stroll on down and get the boat out for an evening of fishing. This can be just what is needed in your life for some great fun, peace, and to just unplug for a while. Check it out today.